Childcare has been my number one passion for 32 years and I love working alongside people who feel the same way. If you’re someone who shares our passion for providing children with a safe and supportive learning environment, we’d like to meet you. We’re always looking for kind, caring and professional people to work together with us to make a real difference to children’s lives. 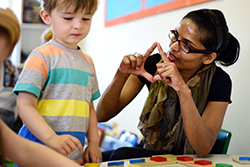 In return for you bringing positivity and passion to our nurseries, we’ll help you reach your potential by giving you opportunities to learn, achieve and progress. I look forward to welcoming you into our family! Become a Nursery Nurse at Just Childcare. 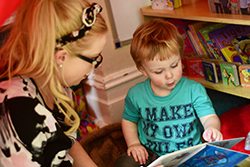 Apply to be a nursery nurse at one of our nurseries today! With successful nurseries based across Greater Manchester, Lancashire, Yorkshire, Cheshire and the Wirral we always have a need for nursery nurses to keep up with demand for places. If you’re looking for a job in childcare and have Level 2 qualification or above, why not send us your CV below and we’ll be in touch! In line with Government Regulations we’ve published our first annual Gender Pay Gap Report. Download a copy here.